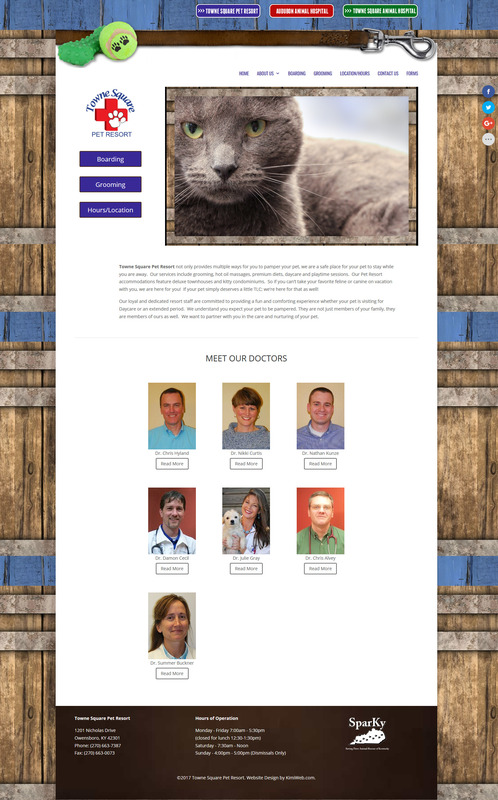 Towne Square Animal Hospital is a partner of Audubon Animal Hospital and Towne Square Pet Resort. All three locations were represented on one very outdated and clumsy website. This caused a lot of confusion and misinformation for visitors. The desire of the partners was to create three separate websites that allowed them to present their individual services and staff, while somehow tying the three businesses together. 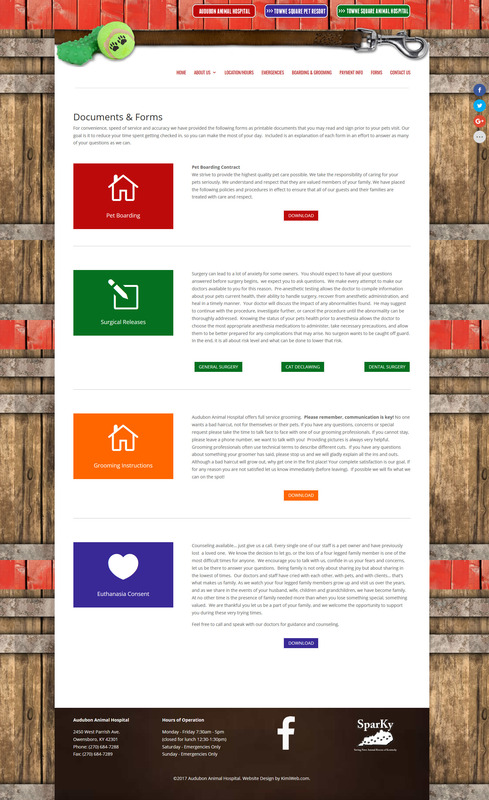 We opted to use an upper navigation so each of the sites could be easily visited and three different color schemes to tie the businesses together visually.